Studying a foreign language comes as a requirement at some point in life. Whether we want to travel from place to a different place, whether we have to relocate to a new place, whether we are just interested in knowing an additional language, or for people who know how to memorize but have a tendency of forgetting. Learning Portuguese for example, below is how to learn Portuguese in 30 days. For anyone interested in the Portuguese language, for people traveling to live or just to visit, and for visual learners learning Portuguese can make their experience easier because being able to speak in the native language gives a person an added advantage while in Brazil. Available online are courses, virtual classes, online tutors who are ready to teach Portuguese. At the completion of learning a student is expected to; Be able to read, understand and communicate in Portuguese fluently, enable the learner to express themselves accurately, learning Portuguese gives the learner the ability to greet people and enable one to introduce themselves in Portuguese at ease among other added advantages. There are numerous ways of learning Portuguese online through virtual classes or through following courses available online. Below are some of the ways of how to learn Portuguese in 30 days. This is the most traditional way of learning Portuguese and involves a teacher and students in a classroom. This is done in the native countries or as a course in institutions for the interested individuals. This is a good approach for those interested in speaking and learning because this platform provides a base where learners get a good balance between the instructors and the chance to speak and write fluent Portuguese. The best available online solution is the Babbel Portuguese course system. It is an online learning course which allows interested individuals to study Portuguese. 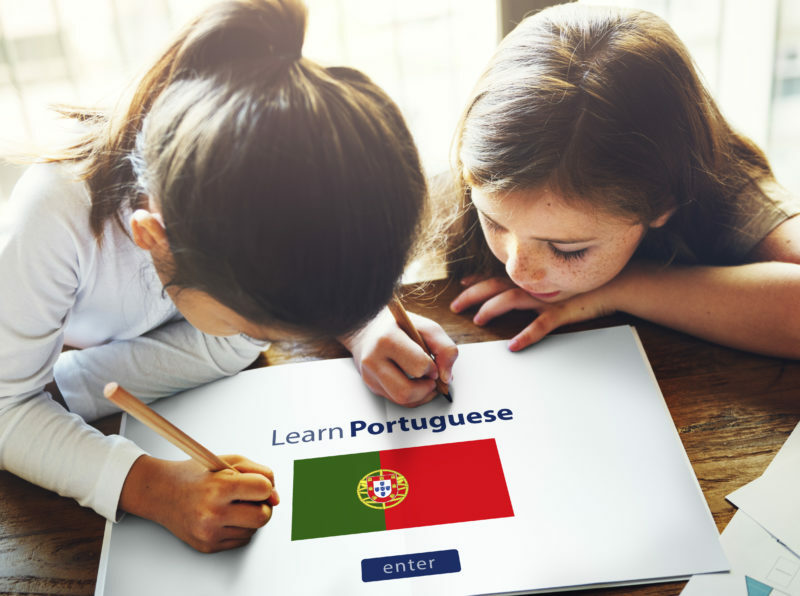 A leaner gets immersed into Portuguese from the beginning followed by an easy and intuitive process where a learner studies at their own pace and can set their own lesson plans. The course is available at an affordable fee giving everybody a chance to explore the new language, it is available online meaning any interested person doesn’t need to travel to get the skills and it can be accessed in a mobile device allowing for learning anywhere. These are classes that happen through online platforms designed to mimic the natural classroom. There are trainers, students and all interact naturally through a common Platform. The teacher teaches, the leaners take notes and ask questions just like a normal classroom. Teachers also provide all needed materials for the course. Portuguese for a newbie requires a lot of interaction which can be offered through an online platform. Students can also get involved in group discussions as a way of learning. As many experts recommend, moving to Brazil and studying Portuguese from there is the easiest and fastest way of learning the language. It requires a person to move to Brazil and live with a host where every interaction is done in Portuguese. The idea behind this is without the native language to go back to, the desire and need to understand and speak Portuguese becomes a real necessity. This is known as immersion but it does not work for everybody. Some people might find it hard to learn the language. This requires sacrifice and lots of practice. This concept is based on the approach of living the language not learning it. Our brains are made in a way that allows a person to filter noise and focus on the details. This is what allows people to have fluent conversations in noisy places. When we hear a new language, the brain treats it as noise making it hard to notice the common phrases and words. When learning, a person should listen to so much Portuguese so the brain stops treating it as noise. Doing this doesn’t necessarily mean you understand. There are many places where a person can listen to the language. This range from Portuguese movies, loads of Portuguese music, online Portuguese televisions among many others. This refers to the ability to pronounce specific words with some perfection. There are words that a Brazilian will speak with perfection because their face muscles have had a good workout at it for long. There are also different strengths and weaknesses in every person’s face muscles meaning no two speakers will speak a certain language exactly the same. This kind of learning involves watching a native speak Portuguese to get clues about what the speaker is trying to say. This goes along with a lot of practice to gain the speed, the agility and the grace required to speak good Portuguese. The tongue, the throat, the lips must be familiar with the new words captured by the brain to make talking in Portuguese possible. Learning using Audio Courses and CD-ROMS. This is a multimedia way of learning Portuguese which involves burning and learning at home. This method is preferred for people with money but does not have enough time to commit in the traditional ways of learning the language. This is however not advised because of the cost involved and the quickly growing and evolving techniques which can render the materials outdated easily. Learning Portuguese is the same as learning any other thing. From engineering to medicine. This means a person has to be ready to make mistakes and actually feel okay making the mistakes. All types of learning need trying, failing and trying again until you perfectly understand. The process might feel dump and silly in the beginning but it pays off later. The whole process requires relaxing, staying curious and enjoying the process. We all can choose to learn different languages for different reasons. Below are some of the key reasons for studying Portuguese. For business-Learning Portuguese can be a great way of changing career for business people based on Brazil, Portugal even some parts of Africa. To ease Living Abroad-The idea of walking around without a phrase book is amazing if a person can speak fluent Portuguese. Speaking Portuguese can be an opportunity opener for retired persons looking for new ways of life, for students looking for scholarships or even adventurous people looking for their next adventures in life. Brain Training-Knowing or learning different languages helps keep the brain healthy and nimble even in old age. This happened because learning new languages create connections among brain neurons increasing the problem-solving techniques and better memory.